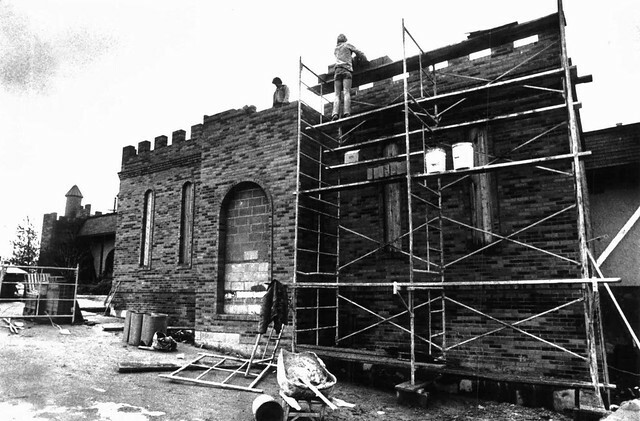 Above: Side of the Gatehouse Taverne under construction in March 1981. 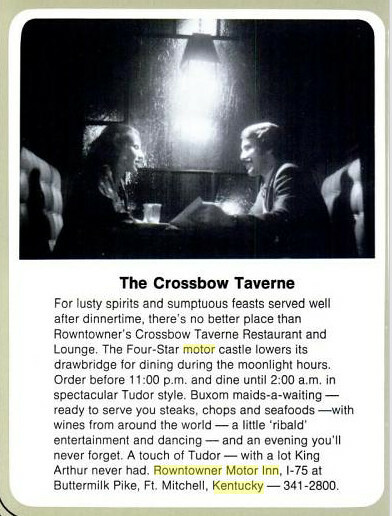 As America and the Cincinnati region became more inundated with option for dining out and entertainment, The Drawbridge obliged, in part, with the opening of a stand-alone restaurant, Gatehouse Taverne. 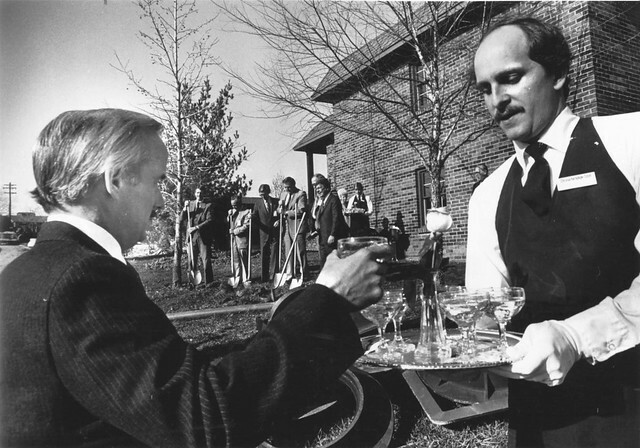 In early 1982, plans began to move forward for expansion of the complex to include additional guests rooms as well as a dinner theater. Plans moved forward in earnest in March when proposals were submitted to Fort Mitchell that included closure of Grace Avenue. 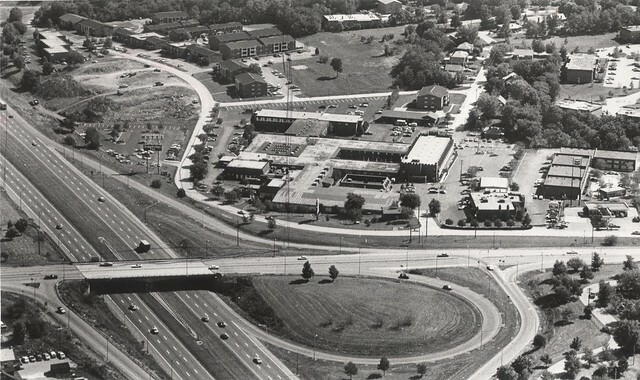 Despite opposition, which included an unresolved lawsuit, the work by Wessels Construction and Development Co. went forward during the summer of 1982 rerouting Grace Avenue. The suit would be dismissed in spring 1983 by US Judge William Bertlesman. 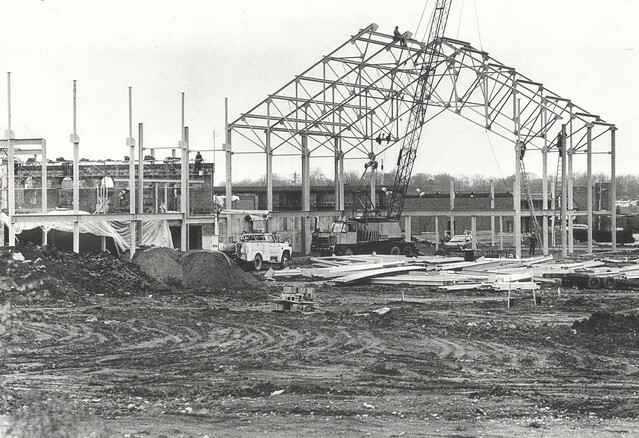 In December 1982, the project broke ground. Throughout 1983, the hotel was expanded. In 1984, while the main convention hall space, London Hall, was remodeled, talk of Kroger office space surfaced but never came to fruition. 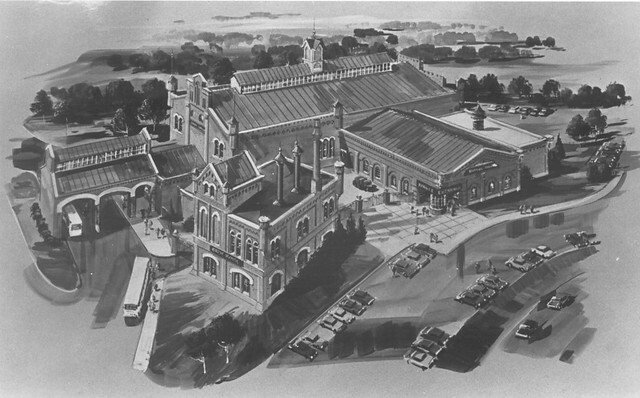 Above: Plans for the expansion of the Drawbridge Motor Inn from 1982. Above: Groundbreaking celebration on December 7, 1982. 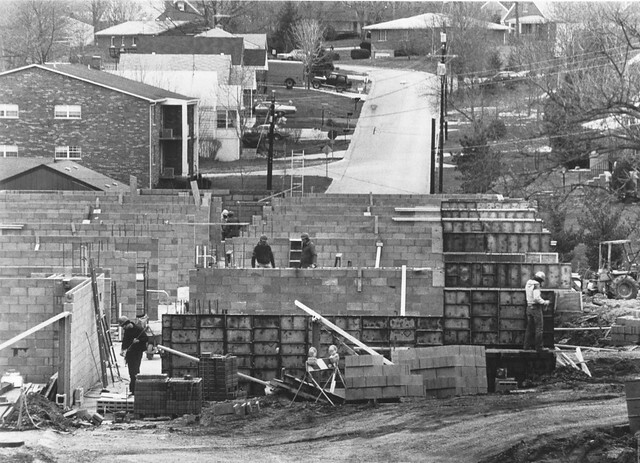 Above: Construction of the new wing of rooms with Grace Avenue in the background in March 1983. 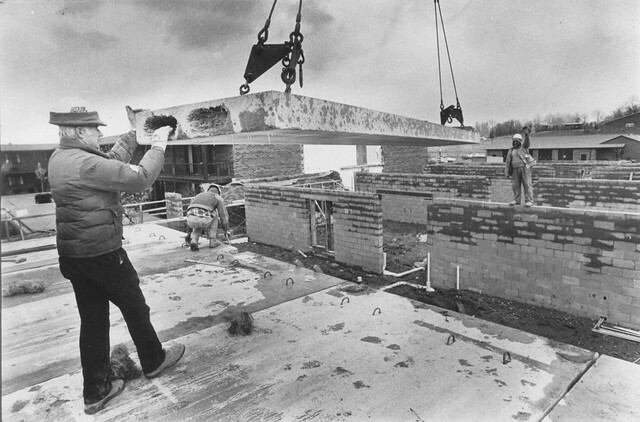 Above: Construction of the new wing of rooms March 1983. Above: Looking north in September 1984. Here you can see the complex after the expansion was completed. It is the two-story structure at center-right of the photo. In January 1984, public discussion began related to a “small brewery”. This was a hybrid of the previous dinner theater concept and represented visionary planning (at least for Greater Cincinnati) on Jerry Deters’ part. In the 5 years since president Jimmy Carter had deregulated home brewing no one had tried the microbrewery concept in the region. 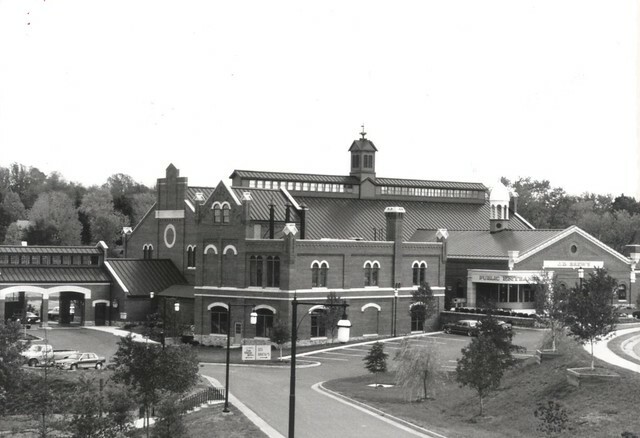 The complex was planned to host a microbrewery, an entertainment center, a restaurant, and a festhaus. 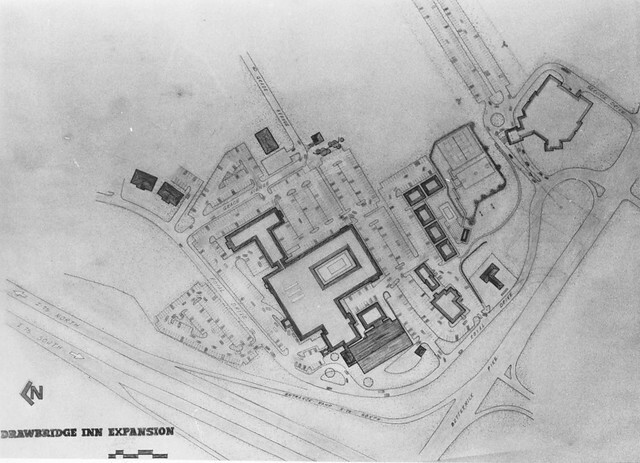 By late 1984 the plans were approved and the zoning changed to accommodate the new complex. By early 1985 planners had endorsed the final plans. By late spring the city had approved the construction bonds and construction began in late 1985. Opening was set for August 1987. 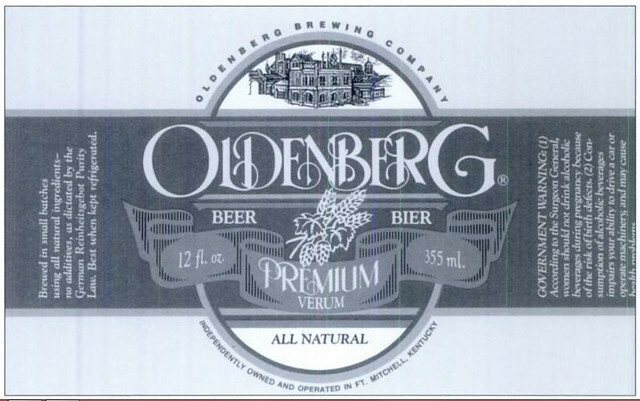 Above: Artist drawing of the Oldenberg Brewery portion of the expansion. Above: Construction of the Oldenberg Brewery portion of the expansion in 1986. 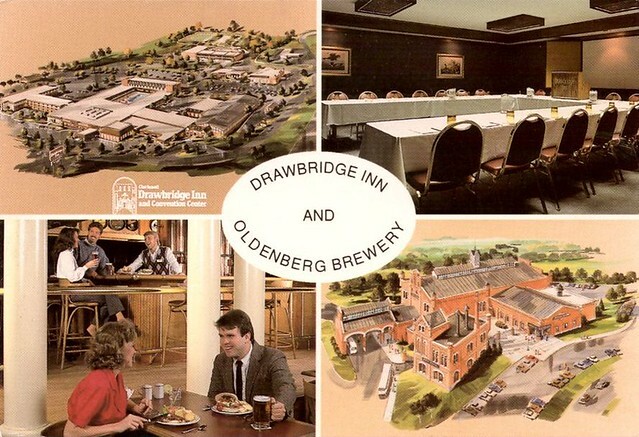 Above: The completed Oldenberg Brewery & Entertainment Center in 1988. Above: A fantastic story about the design and construction of the building from the menu. By 1988, the complex boasted over 500 guest rooms, five restaurants, three pools, and twenty-two meeting rooms. It boasted familiar and enduring names like Josh’s, The Gatehouse Taverne, The Crossbow, London Hall? and others. The hotel made plans for suite improvements and maintained its perennial listing on the largest hotels in the Cincinnati area list. 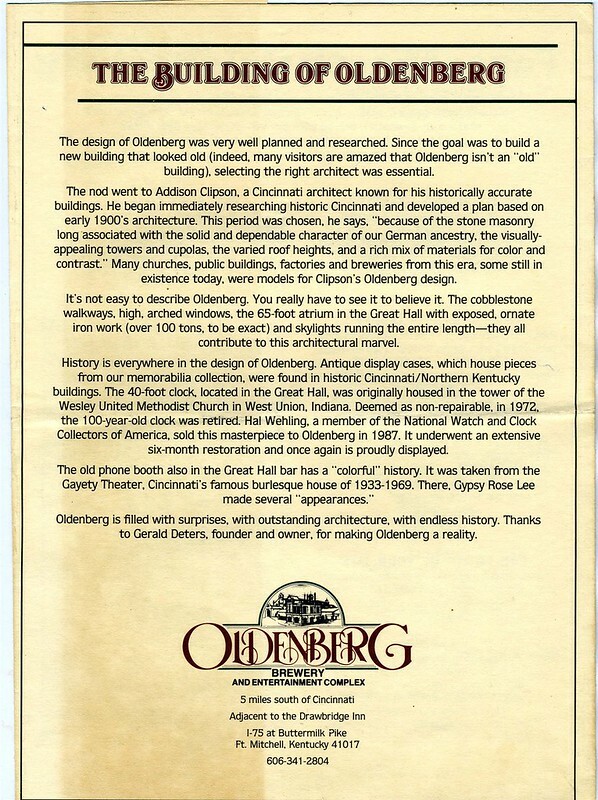 Oldenberg increased production to meet growing demand and talk of expansion to the Louisville market surfaced. 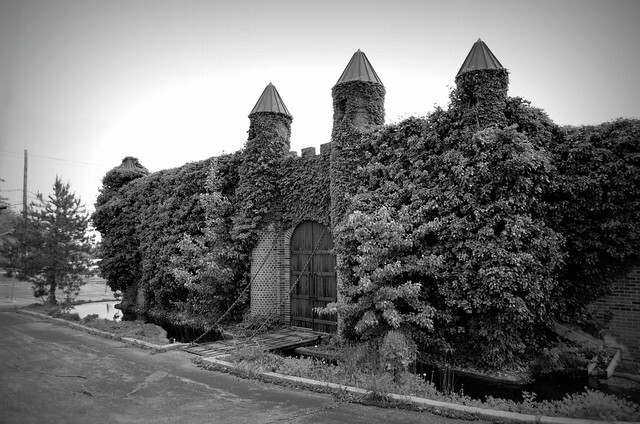 By the close of the 1980s, the Drawbridge complex had essentially completed a decade long expansion. Each concept seemed to resonate with overnight guests, diners, and conventioneers alike. However, public tastes and preferences began to shift and the first cracks of disarray would so begin to show. Tenkotte, Paul A.; Claypool, James C. (2010). Fort Mitchell. In The Encyclopedia of Northern Kentucky. (Vol. F). Covington, KY:The University Press of Kentucky. Stephens, Sarah (2010). Cincinnati's Brewing History. Charleston, SC; Chicago, IL; Portsmouth, NH; San Francisco, CA: Arcadia Publishing. Jeff: We will finishing this series sometime in early 2019. Stay tuned.